Growing up in a house of sports fanatics, I vicariously became a bit of a fan myself. 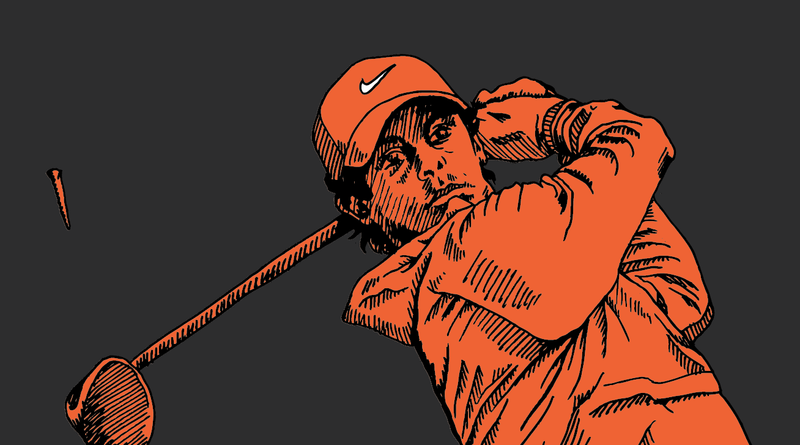 But these days my interest lies more in the the sport sponsorship and branding side of things, rather than whether Rory McIlroy bogeyed the 1st or not. With the football over and the British Open Golf Championship nicely wrapped up by Rory, I found myself mesmerised by the number of sponsors (or Patrons as they are known) and I ask myself the question, “does sport sponsorship deliver?” With Patrons of “The Open” such as Doosan, HSBC, MasterCard and Rolex surely it must. Some might say sport sponsorship is one of the least targeted parts of a marketing plan, but not if it is part of your brand story. Your job as a sponsor is not to involve people in your brand story; it is to involve your brand in theirs. A brand’s sponsorship strategy and activation initiative must focus on delivering valuable fan experiences that enhance peoples’ enjoyment of their favourite sports. In this way, sponsorship becomes a product that delivers a powerful service benefit and by extension, has a precious halo effect for the brand in question. How can we add value to the event experience or brand experience for attendees? How can we leverage brand exposure for non-attendees (media audiences, customers, etc.)? How can we extend the brand experience? Are we doing anything that diminishes that experience or distracts them? This leads me back to the infamous Tiger Woods conundrum. Having been fined more times for swearing than all other members of the PGA Tour combined and that “club throwing” incident at the US Masters, is he a valuable use of Nike’s sponsorship funds? You bet he is, as Nike continues to show him the money. Actually the case of Tiger Woods is an interesting one. In many cases, you could argue that a brand aligning itself too closely to a key personality is a bit like putting all your eggs in one basket. It’s is a risky strategy as humans, we are all fallible. But risks can be managed if a brand has a smart strategy. Nike for example, has always focused on Tiger Woods the golfer (unlike other sponsors such as Gillette who have played up his clean image) and aligned the brand’s efforts around his sporting prowess. As such when Tiger Woods, the man, caught the headlines for all the wrong reasons, they were able to compartmentalise the short-term storm around his infidelity, and even used the high media value to launch an entirely new product line in the process. Perusing the list of Open Patrons, I noted the absence of alcohol and tobacco products. While this comes as no major surprise, the industries continue to sponsor some of the world’s biggest sporting events. Interestingly just recently the RaboDirect Pro 12 rugby (cider makers Magners were their predecessors) has been renamed the Guinness Pro 12. The IRFU has been quoted as saying that sponsorship generates €9m annually for the sport and there have been warnings a clampdown would damage Ireland’s hopes of hosting the Rugby World Cup in 2023. But what I’m sure you really want to know is whether sport sponsorship changes perceptions of your brand in the way that you are trying to influence it. Whether you have increased preference, purchase, intention or loyalty. The alternatives available as to how individuals spend their free time and the brands they are exposed to have become limitless. While it took years for some Marketing Managers to recognise that simply putting their brand on a t-shirt or on the backdrop of a winners’ podium wasn’t the best use of resources, smarter Marketing Managers realised that it takes more than this. It is about your brand story. Finding ways to stand out is no longer an option but a necessity. The brand story goes beyond what’s written on your website or your brand on the winners’ podium at The Open. Your story isn’t just what you tell people; it’s also what they believe about you based on the signals your brand sends. Everything you do, each element of your brand, from the colours of your brandmark and the quality of your packaging or business cards, to the staff you employ is part of your brand story and every element should reflect the truth about your brand. So if you get this right and align yourself with the right sponsorship, then the answer to my question is: yes, sports sponsorship does deliver as long as your brand story is strong. While I may not be glued to all the major sporting events this year, I’ll certainly be looking at the brands on show. In full swing, you could say. Related: Brandjacking or Official Sponsors – who comes out on top?